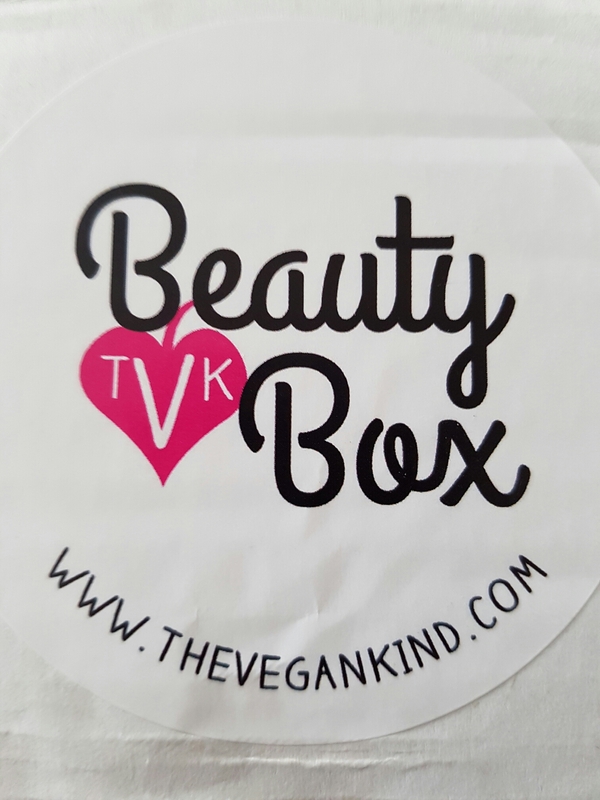 Inside TVK’s latest box are seven cruelty free beauty products. 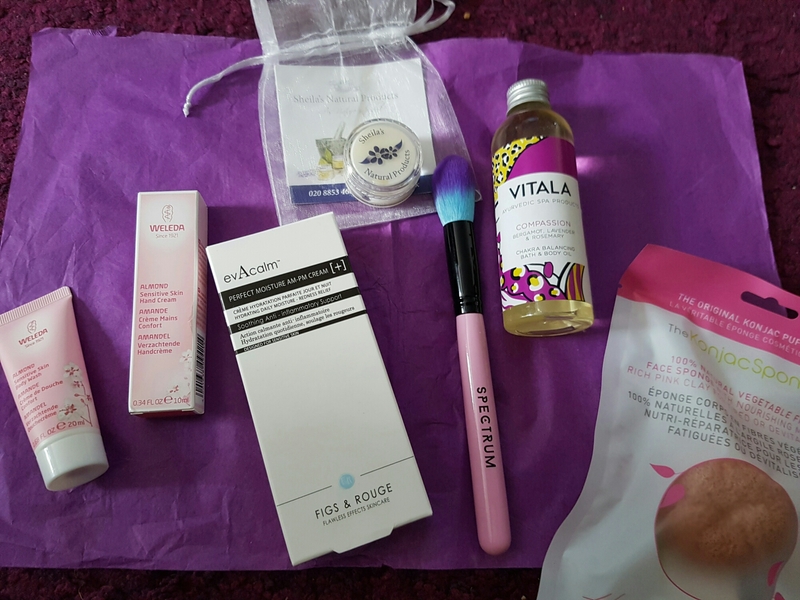 Vitala Spa Chakra Balancing Compassion Bath and Body Oil – full of natural extracts and essential oils, designed to soothe skin and leave it smooth and supple. My skin doesn’t like oils so passing this on to my mum. 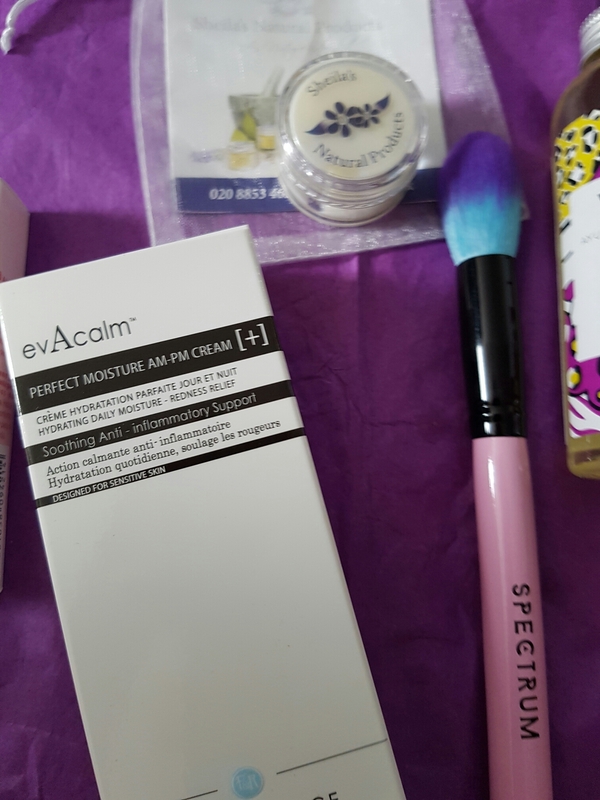 Figs & Rouge evAcalm Perfect Calm Moisture+ AM PM Cream – specifically for use on dehydrated and sensitive skin, to reduce redness and calm stressed out skin. Maybe this will help with my rosacea and grumpy hot face. Spectrum CollectionsTapered Finishing Brush – these brushes are gorgeous. Hair free but super soft and gentle. The Konjac Sponge Company French Pink Clay Facial Puff Sponge – made from biodegradable vegetable material this cleans your skin without needing cleansers. I’ve used a different one of these sponges and wasn’t that enamoured. Weleda Almond Sensitive Skin Travel Size Body Wash – almond oil soothes stressed out skin, with shea butter and other skin loving ingredients. This smells pretty nice and as it’s for sensitive skin I’ll pop it on the shower shelf. 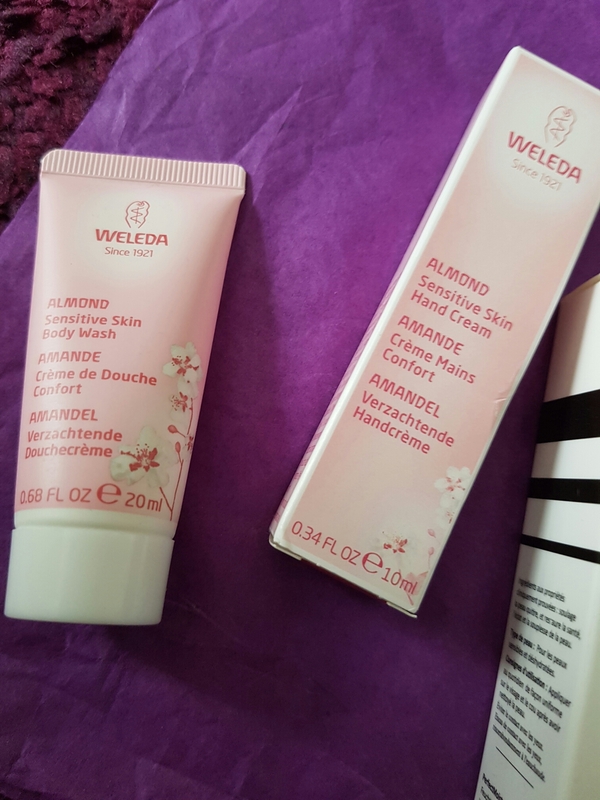 Weleda Almond Sensitive Skin Travel Size Hand Cream – to accompany the body wash this hand cream is perfect to pop in a handbag or overnight bag. Sheila’s Natural Products Face Cream Deluxe Sample – this is a bonus item containing ingredients designed to appease eczema and acne. I’m always looking for the best moisturiser so maybe this will be it. As always 20p from every box sold is donated to Dr Hadwen Trust, the funder of non-animal research in biomedicine.